I am so excited to be joining the gang here at Cozy Chicks. I’ve known The Chicks for ages and am proud to call them friends. We’ve met at conferences and read each others' books and now I get to hang out here with them and you. How cool is that? Every Thursday I’ll be showing up to chat. You’ll get to know me and probably a lot about my dogs, Daisy and Lily, the princess dachshunds. I'm looking forward to getting to know you too. 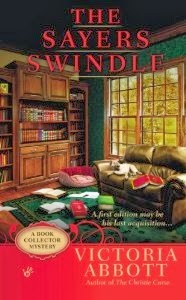 This week is extra special: not only do I debut here at Cozy Chicks, but it’s also book release week for The Sayers Swindle: the second book collector mystery. I write this series with my daughter as Victoria Abbott. 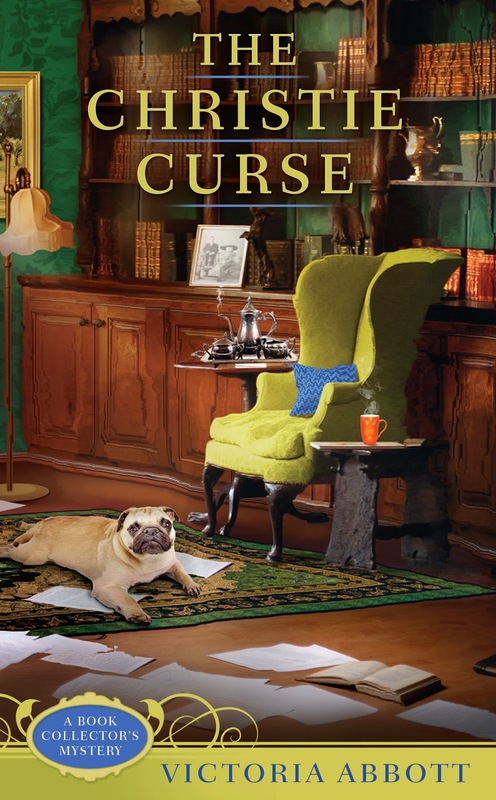 We're happy that our young sleuth Jordan Bingham gets another outing, a taste of danger, a bit of romance and a book-related mystery to solve. That’s something else to celebrate: being able to write two books together and still being on good terms. 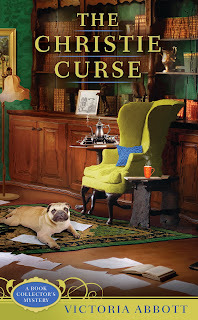 The Christie Curse, our first book collector mystery came out in March. We’re still talking and laughing most of the time. I wouldn’t say that we never flashed a look at each other, but all in all, it’s been very congenial. I guess I raised my baby girl to bump people off for fun and profit. What more could a mom want? 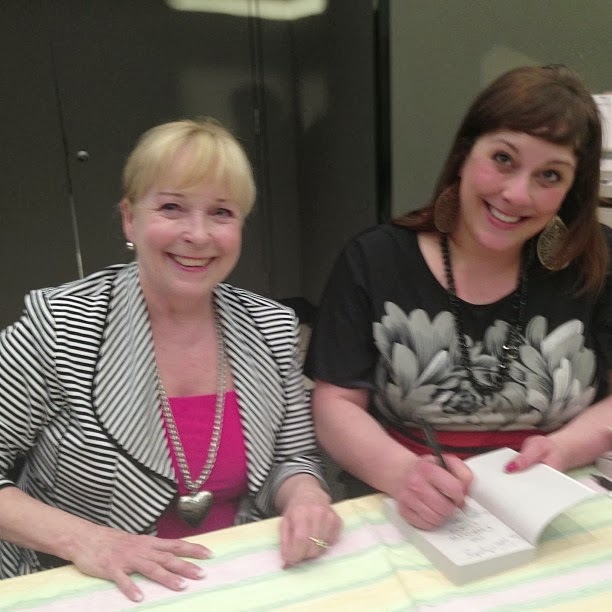 There was more celebration at our book launch party last night, in the form of wine and chocolate, cheese and chat. I think that’s the best kind of party. Here’s a sample of the chocolates we stocked up on. We’re sure they’re full of vitamins. We hope we'll meet many of you face to face some day. But enough about us, do you have something to celebrate this week? Will there be chocolate? Let’s hear about it! Hi MJ!! I must tell you, that this new series is one of my very favorites. Of course, I apparently was born to be a librarian, so it's no surprise that any plot that involves books would have me hooked. So glad you're here with the Cozy Chicks. I guess I raised my baby girl to bump people off for fun and profit. What more could a mom want? LOLOLOL! Welcome, MJ! Can't wait to read the newest book. Thank you, Shel! I am glad you're here too. It's great to be with my favorite book people. Heather, I'm thrilled to be here with you! Glad I could give you a morning chuckle. Looking forward to reading The Sayers Swindle. Hope you write another organizer book starring those cute dogs soon. Welcome, welcome, MJ. :) And I love that doggie photo. I met the CUTEST Dachsund over the Thanksgiving holiday. Serena's boyfriend adopted a purebred miniature Dachsund from the rescue society in Houston a year or so ago. There was evidence he'd been mistreated. Instead of being afraid of people, Oscar lives to snuggle with you. You sit down on the sofa, and Oscar is right there beside you, snuggling. :) I had to negotiate with him to let me put my laptop on my lap so I could work and snuggle at same time. I'll have to post a photo. Welcome MJ and your princesses too. I am looking forward to reading your blogposts, and good luck on the new release!